Big ideas and hefty riffs fill this musical journey, providing a consistent feeling of forward motion and building climax. Denis Shvarts has given fans a reason to keep him on their radar. In recent years, Russia has been home to an ever growing roster of talented metal bands and solo artists. 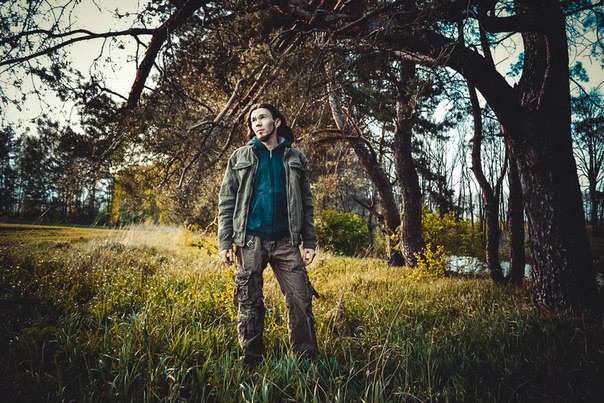 One such artist is technical death/progressive metal guitarist and composer Denis Shvarts. He wrote and recorded his first solo album, Through the Universe, in 2014. He then formed a band with bassist Pavel Semin called Dark Matter Secret, releasing their debut album in 2015. He quickly gained a loyal following because of his technical capabilities. Fans have been begging for more tunes to listen to and it seems that the wait is now over. On February 11, Shvarts will be releasing his sophomore album as a solo act, titled Dreamology. With a few more years under his belt to further hone his skills, many are anxious and hoping for an explosive new album. Will it meet these fan expectations? Let’s find out together! “Loading Dreams” is the album opener. Clean guitar picking and synthesizers set an eerie tone, while heavily distorted power chords and squealing pinch harmonics begin to work their way into the fold. After giving the listener this brief chance to settle in, Shvarts unleashes his shredding fury. Playing with tight precision, he weaves his way back and forth between sections of solos and sweep arpeggios that are heavily power metal influenced, and death metal tremolo picking that is backed by blast beats and lightning fast double bass drums. Time signature and tempo changes are numerous and seamlessly worked into the compositions, not once interrupting the flow of the album. The next track, “Neon Maelstrom”, is one of the more melodic tracks on Dreamology. The rhythm guitar riffs that support the vast array of catchy lead guitar solos – some lasting only a single measure before changing – definitely remind me of Haunted Shores. “Breakpoint” is another of the album’s melodic songs that is definitely worth a mention. There are very strong Plini vibes here, as Shvarts works his way through more catchy lead licks. Pavel Semin’s fretless bass playing really stands out too, which sometimes tends to get lost in the numerous layers of harmonized guitar and synthesizer tracks throughout the album. In direct contrast to these upbeat songs is “Virtual Nightmare”. Classical guitar and lead riffs effected by the whammy bar creep around chugging rhythm chords and provide a sense of whimsical mischief. Regarding the album’s concept once more, Shvarts succeeds in making it apparent through the tone and atmosphere of each track which ones are nightmares as opposed to dreams. It is always an impressive feat when an artist can accurately portray a concept in the absence of vocals and lyrics. “Star Racers” was the first song released for Dreamology. Alongside it came a guitar playthrough video which we had the pleasure of premiering here at EIN. As is the case with most guitar players who have mastered the instrument in the way Denis has, he makes his compositions look effortless. Sustained notes, string bends, and frequent use of the whammy bar ensure that his leads soar through the entirety of the album. The use of more advanced techniques like hybrid picking, multi-string tapping, and sweep tapping remind me of Tosin Abasi’s playing style (the brief tapping riff at 2:56 just screams Animals as Leaders). Watching Shvarts play is endlessly entertaining. Although Denis Shvarts has already proven his technical capabilities on guitar with Dark Matter Secret and Through the Universe, existing fans should notice a marked improvement with Dreamology. Yes, his guitar skills have still advanced, but the most noticeable difference lies in more cohesive song compositions and a marked improvement in production quality. Sure, this album is packed to the brim with as many notes as possible via persistent sweeps and soloing, and at the briefest of moments it can be a little overpowering. However, Shvarts doesn’t just shred for the sake of it. There is substance here. In a current music scene that is inundated with guitar-centric instrumental prog artists and bedroom studio projects, this makes all the difference. Big ideas and hefty riffs fill this musical journey, providing a consistent feeling of forward motion and building climax. By the time I reached the coda on the closing track “Landscape of Mars”, I felt fully satiated by a complete listening experience. With Dreamology, Denis Shvarts has given metal fans a reason to put and keep him on their radars, and likely guaranteed that he won’t get lost in the shuffle of other genre-similar acts any time soon.